For separated or separating couples at any point in the separation process. We are passionate about family mediation and strive to provide independent family mediation to families to support them to resolve difficulties for their children. We believe that by empowering and enabling families to improve their lives by offering an inclusive, affordable resolution service which enables them to take control and reach a decision or resolution over difficulties or disputes that they are experiencing. Children 1st Mediation specialises in helping you make plans for the future following separation or divorce – agreeing arrangements for your children and property and financial settlements. We have extensive knowledge and experience in more complex family disputes and have training in supporting family through Parental Alienation. It is our view that if given the right support and opportunity, most people can reach their own solutions to the problems and difficulties that they are facing. Working you to build understanding and resolve conflict will strengthen and empower you, which will have a positive impact on the future of your children. 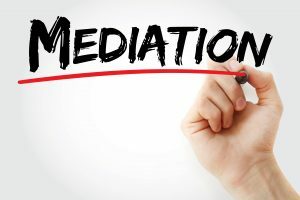 Having spent 16 years working in dispute resolution and restorative practice both as a practitioner and for the last 10 years as a Manager of a Mediation and alternate dispute resolutions service. I am passionate about enabling and empowering people to resolve disputes themselves without the need for more adversarial interventions. I have extensive specialist knowledge and experience in Family Group Conferencing within Child Protection, Family Mediation in Child welfare cases and Restorative Justice (RJ). I also have experience in the delivery of community conferences; workplace mediation; narrative mediation; parent child mediation; NLP, Solution focused communication and have delivered and supervised a large team of facilitators in the delivery of these models. I am registered with the Family Mediation Association and the Family Mediation Council to undertake Family Mediation. Accredited with the Ministry of Justice Legal Aid work and qualified to undertake Mediation Information Assessment Meetings as a pre–requisite for those wishing to making an application to court for child or financial arrangements. I developed the only specialist model of Child Welfare (protection) Mediation for Families involved with Social Services and have successfully delivered over 150 complex child welfare mediation to families in both private and public law cases. I am also qualified to undertake Child Inclusive Mediation and I am fully DBS checked and qualified to work with children and young people to you can be sure of their safety if they are taking part in the mediation process. After my early career in the arts and music, my own family life fostered an interest in social and family dynamics. Conflict appears to be apparent at all levels of society; structurally and personally, I have been drawn towards mediation which offers a way forward in resolving conflict. As a mature student I went on to study Sociology at the University of Exeter, followed initially by training in family mediation and community mediation. I have over 10 years experience as a mediator with qualifications in family, community & neighbourhood, Civil, Commercial & Workplace Mediation. I am also fully qualified as an integrative humanistic counsellor, family group conference coordinator and restorative justice practitioner. I am accredited with the Family Mediation Council to undertake Legal Aid work and qualified to undertake Mediation Information Assessment Meetings as a pre–requisite for those wishing to making an application to court for child or financial arrangements. safeguarding issues and local authority involvement. I am fully DBS checked and qualified to work with children and young people as part of the mediation process. 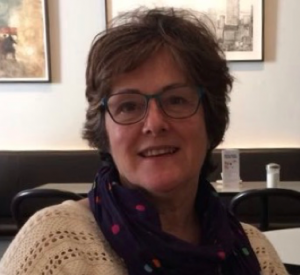 Jane worked in Adult Social Care for 30 years as a Social worker, Manager and Commissioner, helping families, carers and partner agencies create positive outcomes for people and communities. 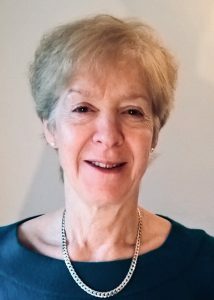 Jane trained as a mediator in 1992 and subsequently managed a Family Mediation Service with a Legal Aid franchise for some years before diversifying into other mediation sectors, including Civil and Commercial and SEN mediations. Jane is an accredited Family Mediator with the Family Mediation Council to undertake Legal Aid work and qualified to undertake Mediation Information Assessment Meetings as a pre–requisite for those wishing to making an application to court for child or financial arrangements. Jane is fully DBS checked and able to work with children and young people as part of the mediation process. * This is based on a government formula and you will need to be assessed, providing evidence to qualify.